2012 marks the 7th year of the Camden Fringe, which will be taking place from the 30th July to the 26th of August across the borough of Camden. The Olympics has stolen a few venues, but they’ve been replaced and the number and quality of shows has not been affected by the sporting summer ahead. There are currently 126 different productions under starters orders. 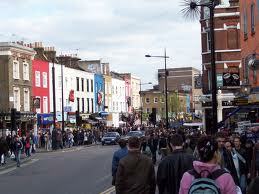 The Camden Fringe has been running since 2006 when 57 performances were hosted by the Etcetera Theatre. In 2007 the Camden Head was bought in as a 2nd venue and these original two spaces on Camden High Street still host the bulk of shows. After 5 years of growth and large jump in the number of participating venues in 2010, the Camden Fringe has now reached a consistently high level of performances and spaces. This year, as well as the familiar Camden People’s Theatre, New Diorama, Etcetera Theatre, Upstairs at the Gatehouse and the Camden Head, there will again be shows at the Black Heart, Camden Eye and Pirate Castle. The new signing for this season is The Tristan Bates Theatre in Covent Garden, and The Forge, Lauderdale House and Theatre Collection are all added to the list of venues. In western society women are taught to be individual and independent. Dependence on other people is looked upon as weak. Same too with dependence on substances. Are these two categories of dependence are similarly devastating? When is independence destructive? Choreographer Maddy Wynne-Jones tackles these questions with the courage and innovation that has become her trademark. Stand-By will be premiered in a triple bill celebrating the versatility, diversity, and momentum of the Tempered Body collective, presenting in addition two brand new works by TBDT dancers Claudia Palazzo and Holly Blakey. You are currently browsing the Fringe Report blog archives for June, 2012.